Home / Adviart Blog / We all make a difference. We all make a difference. 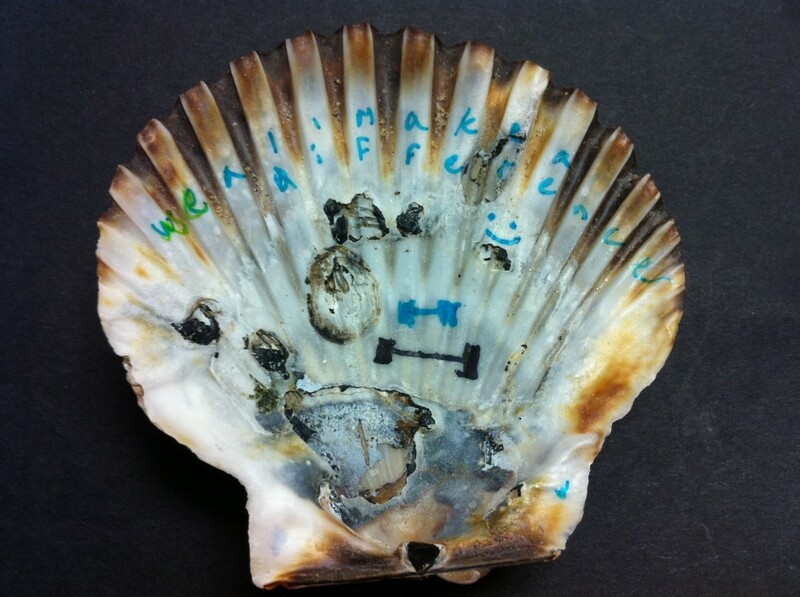 This adviarter picked to write on this side of the shell because it was softer. The other side of the shell had spikes on it. The letters were written on the spine of the shell in lowercase letters. The notable function of the shell being the focus on “we”. The adviarter used a mixed of words and drawings to make his point. He highlighted that the gym (noted in the picture of the weights) is a great way to get energy and endorphins to make a difference. The advice from the adviarter had strong logic–keep up our energy so we can all make a difference. Energy can be fueled in so many ways but building up this energy takes time–as does making a difference. So how do you go about making a difference each day? Who do you make a difference with–what friends/family/co-workers?